Mahindra Truck and Bus : Paving the future of the industry. Mahindra’s MPOWER, the successful management development program developed in association with the prestigious IIM-Ahmedabad is aimed at empowering the next generation of India’s transporters/ fleet owners to ‘Take forward their family business with their OWN vision’. Launched on the 9th of January, 2013 the program today has completed 4 successful batches. On Monday, the 14th of July, 2014, the fourth batch of Mahindra MPOWER was launched at the Indian Institute of Management, Ahmedabad (IIMA), with 24 young transporters participating. The inaugural session was graced by IIMA faculty (Prof. Raghuram and Prof. Debjit Roy, Program Coordinator), the MTBD team and members of Anantara Solutions, our consultants for transport sector initiatives. The program concluded on the 26th of July, 2014. The mix of the 24 participants was interesting. With an average age of 27 years and coming in from 13 cities, representing 18 different load segments & with a cumulative turnover of 1350 crores the classroom was pot-boiler of opportunities. Owning close to 4900 trucks between themselves and providing employment to 2400 people and with an average company turnover of 57 crores, the batch had enough insights to share. The participants went through interactive and informative workshops which helped them define solutions to challenges and evolve value propositions vis-a-vis their strengths. They also went through important facets in modern day management like the use of MIS, understanding logistics network, organisational behaviour, market segmentation, online marketing, web based integration in Logistics and Supply Chain management & Strategy formation. 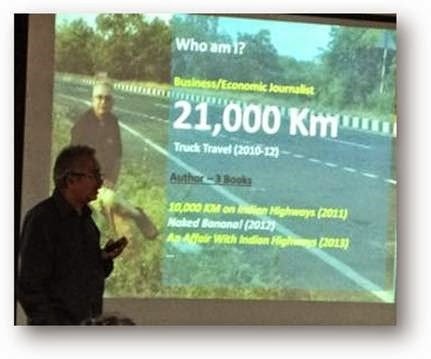 The participants also got to interact with guest speakers like Mr. Ramesh Kumar, a transport journalist & ‘Editor at Large’ who has covered more than 21,000 KMs by truck on Indian roads. Mr. Kumar gave his perspective on driver related challenges. His session went beyond the realms of pure business as he spoke about relationship management with drivers and owners being an integral part of their personal upliftment. The participants also engaged in team building workshops with Prof. Kirti Sharda. 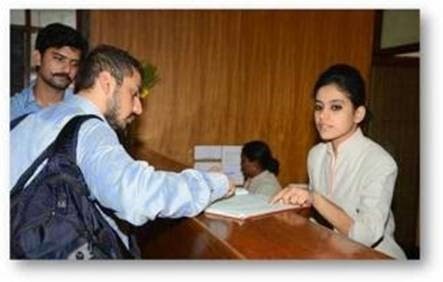 Mr. Deepak Jain, AVP-HR at TCI Ltd. shared the HR practices followed by the company. The participants also got to experience the TRACO 35 in person with Mr. Rajat Proothi, as he took an interesting truck familiarisation session. The guest session on RTO Laws and Regulations by Mr. J P Gupta, IAS, Transport Commissioner, Gujarat State was a one of kind experience for these young entrepreneurs. Their visit to Darpana and activities building the right side of the brain was much appreciated by the participants. Several interactive workshops and the opportunity to be amongst renowned celebrity Mallika Sarabhai was something the participants cherished at Darpana. 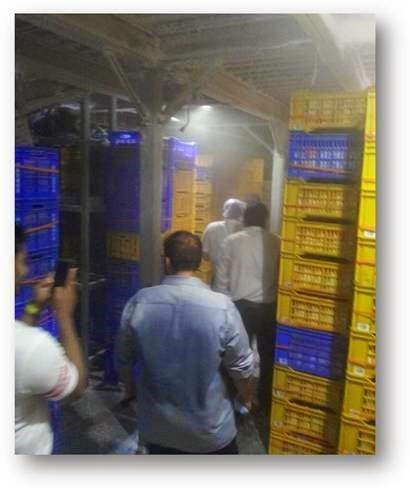 The participants also had industry visits to the Havmor’s Ice Cream Factory & other cold chain facilities to witness their production process & cold chain facilities. The students froze (literally) in awe as they walked through the -40 degree centigrade cooling chambers. The participants had their bit of fun between all the lessons too. 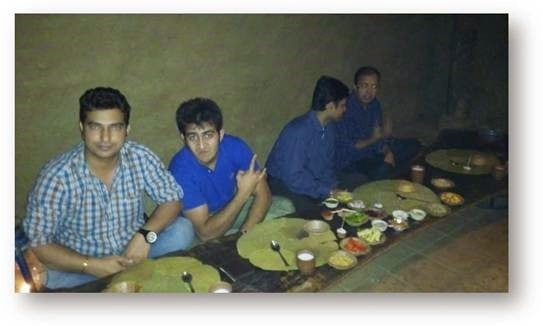 From a grand Gujarati dinner at Vishala to their visit to the Vintage village, the participants embraced the culture of Gujarat. The last day saw presentations from 2 groups presenting their integrated case study on what they learnt during the program and how they envisage implementing those when they go back. Mr. Rajan Wadhera announced and launched Mahindra MPOWER Club – a common platform where all the Youth Transporter of previous and future MPOWER batches will be integrated with each other to enable them to connect, network and share information, and be connected with Mahindra’s Truck and Bus Division on a regular basis. MPOWER, along with other MTBD brand initiatives like Outperformers’ League, Mahindra Transport Excellence Awards and MPOWER War Room itself have emerged as strong and popular initiatives which are driving positive change in the transport community by imparting knowledge, creating platforms for sharing knowledge and initiating dialogue and also providing avenues for celebrating and recognizing excellence and outperformance. We are confident that these initiatives, which honor the brand promise of RISE in letter and spirit, will help make MTBD a strong force in Indian CV industry and eventually, help in our journey to be the most trusted CV brand of India.